Hide this Project (Kharde Patil Woods Royale) Discover properties in other projects by hiding the ones that doesn't interest you. You won't see them in your searches further but you can unhide anytime later. Hide this Dealer (Abhishek Joshi) Discover properties by other dealers by hiding those whom you have already spoken to. You won't see them in your searches further but you can unhide anytime later. Providing you with a lavish style of living Kharde Patil Woods Royale by Kharde Patil is a residential development situated in Kothrud, Pune. They provide you with 1 BHK, 2 BHK and 3 BHK apartments. This project is spanned across a wide area. All of this is situated in a convenient and friendly neighborhood with outstanding amenities. The project is approved by Maharashtra RERA. Kothrud is a home for big number of middle-class segment and furnished with outstanding amenities. It is an emerging realty destination and comes under Haveli Taluka. In recent years, Kothrud is witnessing a substantial footing of IT companies, industries and manufacturing units, this has led to the urbanization. Several top-notch builders have launched excellent residential housing schemes that are comprises of all modern day amenities. Recently, government has announced the construction of metro phase 1 (Ramwadi-Vanaz), which will cross through Paud and Karve Road, via Kothrud. The key reason for the expanding realty is the advent of IT sector due to which there is massive migration of professionals in the city. Pune is popular as one of the consistent realty market of India offering holding a steady demand for residential as well as commercial projects. The expansion of IT has shown a significant growth towards the development and has attracted both professionals and the corporate houses. This has led to the increase in the demand of residential projects and office spaces both. Pune is also one of the prominent industrial area and possesses several manufacturing units such as Tata, Ford, Force Motors, CISCO and more. It is known as ?Oxford of the East? as the city has pool of skilled and talented people. In which area is Kharde Patil Woods Royale located?The project is situated in Kothrud, Pune. What apartment sizes are available in Kharde Patil Woods Royale? The project offers apartments sized between 409.0 sqft and 748.0 sqft. What is size of 1 bhk in Kharde Patil Woods Royale? 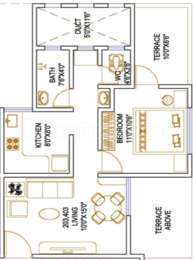 The area of 1 BHK apartments ranges from 409.0 sqft to 567.0 sqft. What is size of 2 bhk in Kharde Patil Woods Royale? 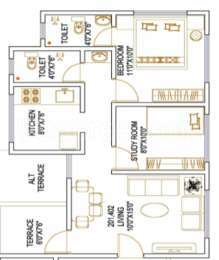 The area of 2 BHK apartments ranges from 452.0 sqft to 748.0 sqft. How much is the total size of Kharde Patil Woods Royale?The project is spread over an area of 0.92 Acres. 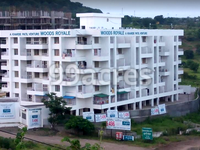 How much is price of 2bhk in Kharde Patil Woods Royale? 2 BHK units in the project are priced at Rs. 7050000.
utions are Kharde Patil Woods Royale, Kharde Patil Seetai Residency and Kharde Patil Gurukunj. Pls mention the size, price, expected possession date and the amenities offered. Jagat, my uncle booked a unit here, Recently, he went for a site visit. The builders representative told him that it is in final stage of construction and possession will be given on time i.e., Dec15. He even told me that the builder plans to offer all basic amenities including Landscape Garden/Park, Paved Compound, Open Space, Intercom, Club House, Multipurpose Hall, Sports Facility, Kids Play Area, Gym, Firefighting Equipment and Car Parking.